(Newser) – A Muslim woman who works for the UK's National Health Service as a mental health services practitioner—and whose job includes preventing youth from becoming radicalized—describes a "hurtful" experience she had on a Thomson Airways flight back from her honeymoon in Turkey, the BBC reports. Faizah Shaheen, 27, says she had disembarked her plane at Doncaster Airport on July 25 when she was pulled aside by airport officers. 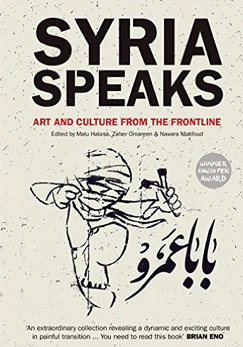 Turns out a crew member on her flight had become nervous because she had been reading a book on Syrian art and culture, the Independent reports. She was released after 15 minutes of questioning, but she says she plans to file complaints. "Our crew are trained to report any concerns they may have as a precaution," says an airline spokeswoman. Got nervous? More like paranoid. I great gift would be to include a copy on every plane for the airline. The Snickers commercial got it right. People get pissy when they get hungry and thirsty. I would probably have been "INSTIGATING" also. Dikkish move by the airlines.